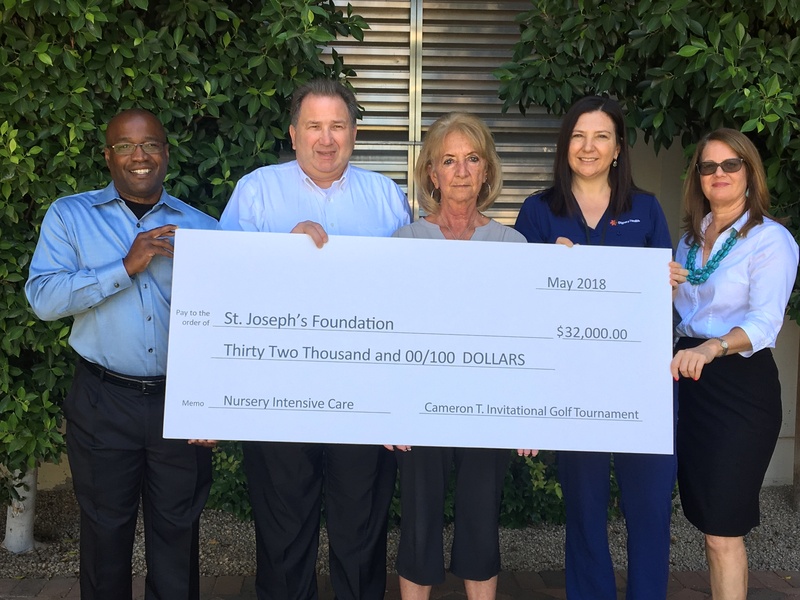 Golf tournament raises record $32,000 in 2018! Cameron T. Haselhorst has fought for his life three times and won, beginning on the day he was born weighing a mere 2 pounds. With round-the-clock care in the nursery intensive care unit (NICU) at Dignity Health St. Joseph’s Hospital and Medical Center, Cameron thrived and, before long, he was able to join his parents and at home in the East Valley. The little boy’s health was tested a second time when he was 3, suffering with a lung condition that left him with a 5 percent chance of survival. True to his nature, though, Cameron never stopped fighting. His doctors never stopped trying to save him either, which is why his family has never stopped paying gratitude to St. Joseph’s Hospital. For the past 12 years, Cameron’s family and friends have organized an annual fundraiser—including kids’ entertainment and a golf tournament—supporting the NICU at St. Joseph’s. With the help of his parents, Tiffany and Joshua, his grandparents, Marilyn and Merle Ehelbracht, and countless others, the group has donated more than $100,000 to ensure other premature infants receive the highest quality care they need to survive and thrive like Cameron. St. Joseph’s NICU serves as the first home to nearly 800 severely ill infants each year. With generous support from Cameron’s family and other donors in the community, the hospital continues to evolve to meet the needs of all babies as well as mothers-to-be—throughout pregnancy, delivery and beyond. Among the many improvements and advances at St. Joseph’s NICU afforded by the Haselhorst family’s donations over the years is the renovation of a waiting room and the technology to support a new digital app for parents to track their babies’ weights and other milestones. Their most recent gift will help purchase high-tech bassinets designed to help preemies survive and thrive after delivery. Although the NICU is no longer home-away-from-home for the Haselhorsts, Cameron’s parents will be eternally grateful for the care their little boy—and their entire family—received there more than a decade ago. And, even though Cameron is now an accomplished baseball and football player preparing completing his freshman year of high school, a brush with cancer three years ago is all it took to remind them that St. Joseph’s NICU team fought as hard possible to give their little boy a fighting chance at life. 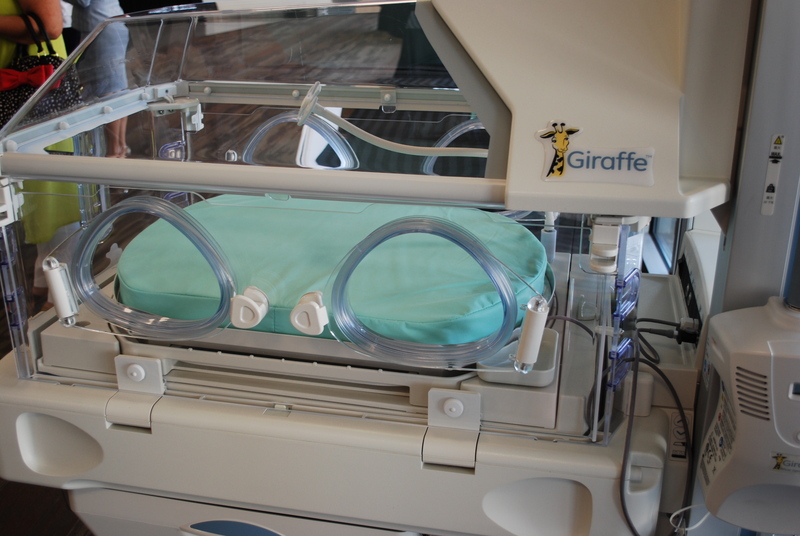 The funds from the 2018 Cameron T. Invitational will support the purchase of high-tech bassinets, known as Giraffe Incubators, designed to give premature infants the best medical care possible to survive and thrive. Support our nursery intensive care unit with a gift today! 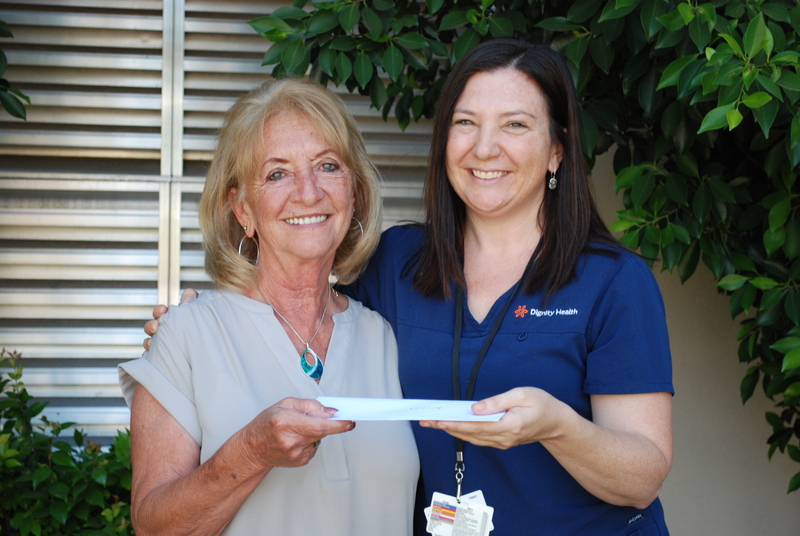 Cameron's grandmother, Marilyn Ehlebracht, presents donations from the 2018 tournament, totaling $32,000, to Zoe Coleman, who manages St. Joseph's nursery intensive care unit.